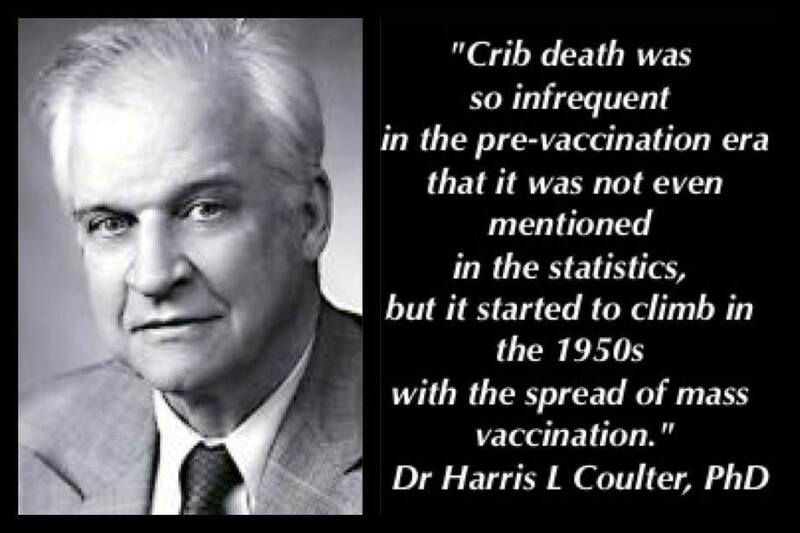 [vid] Vaccines and Toxins Cause Autism, Sudden Infant Death Syndrome, SIDS & Crib Death Dr. David Davis, MD gives insight into the multiple toxins along with an intensive vaccine schedule that ultimately contributes to the rise of Autism and Crib Death (Sudden Infant Death Syndrome, or SIDS). 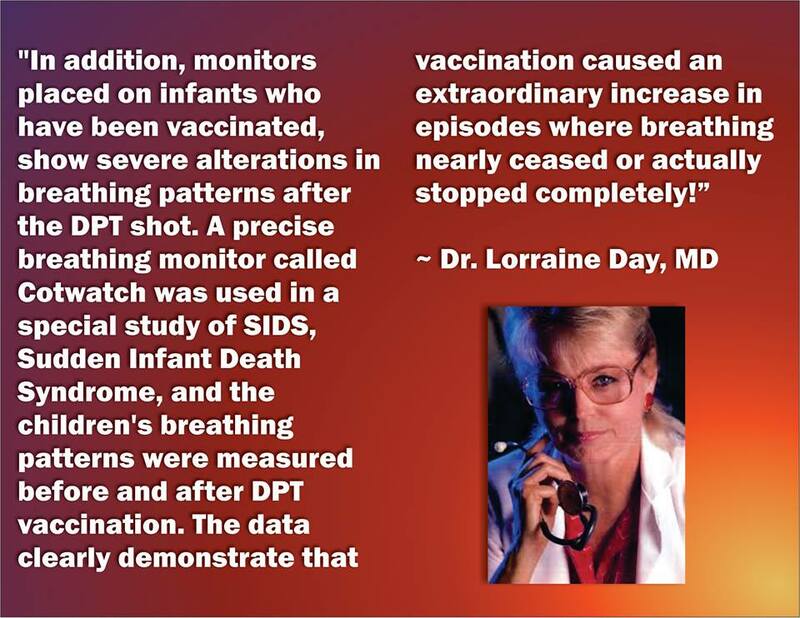 His book, "Dancing Cats, Silent Canaries—A Traditional Medical Doctor Takes A Closer Look At Unsolved Epidemics Of Autism & SIDS And Proposes A Solution," brings to light that multiple vaccines early in life combined with the highly toxic PVC used to make baby mattresses and cribs contribute to the alarming rate of Crib Death (Sudden Infant Death Syndrome, or SIDS) and Autism. 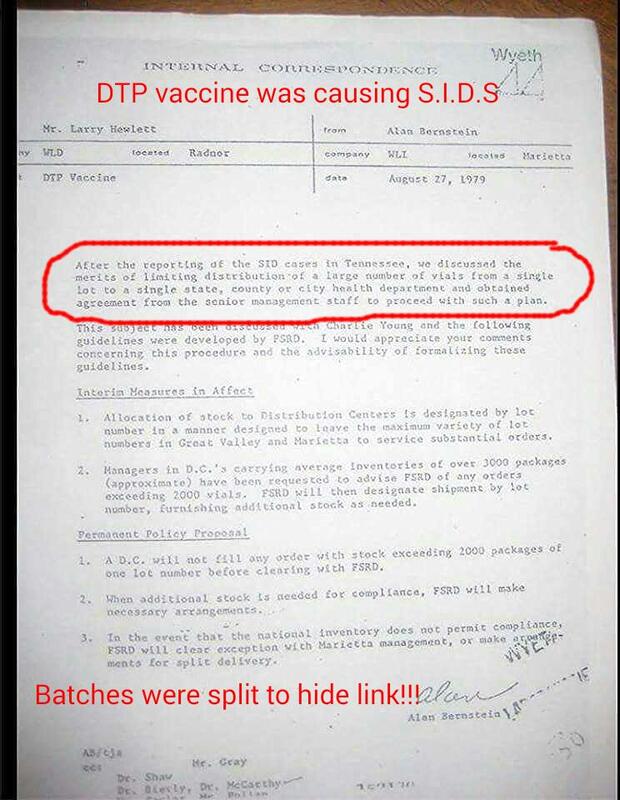 In the 1970s Wyeth Pharmaceuticals had sent an entire lot of DTP vaccines to be administered to newborns in middle Tennessee. 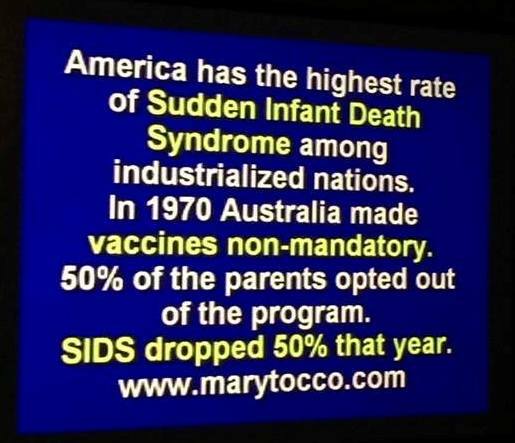 This caused many, many cases of SIDS all in a close proximity and it was impossible to deny the vaccines were at fault. 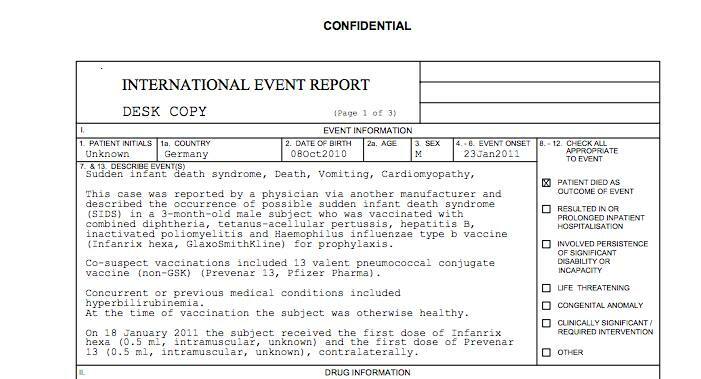 Because of this, Wyeth changed their policy on how vaccine lots are distributed. 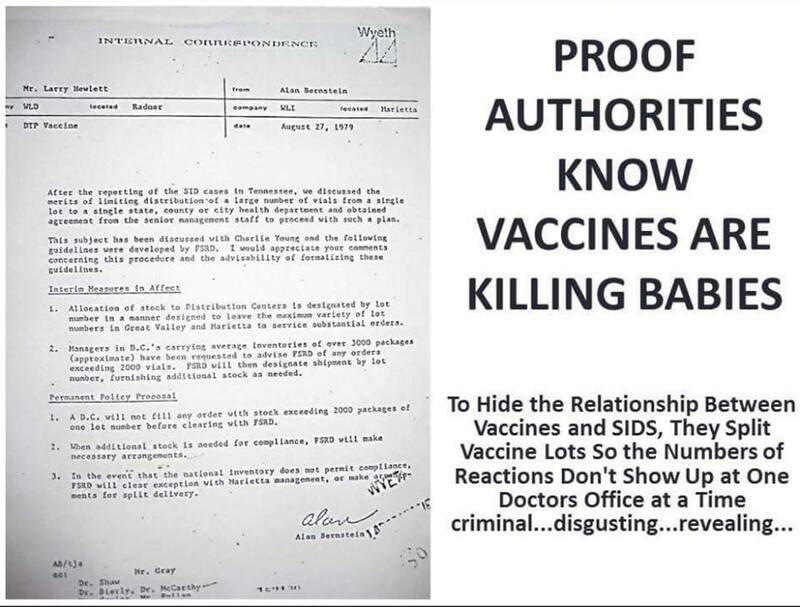 Instead of just shipping off each lot manufactured together, they began breaking up the lots and sending them all over the country so the cause of the SIDS cases wouldn't be so obvious... a practice still used by all pharmaceutical companies today. 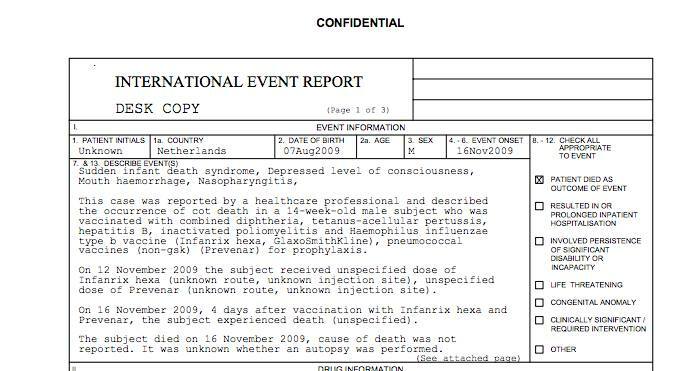 Here is the internal memo discussing this decision. 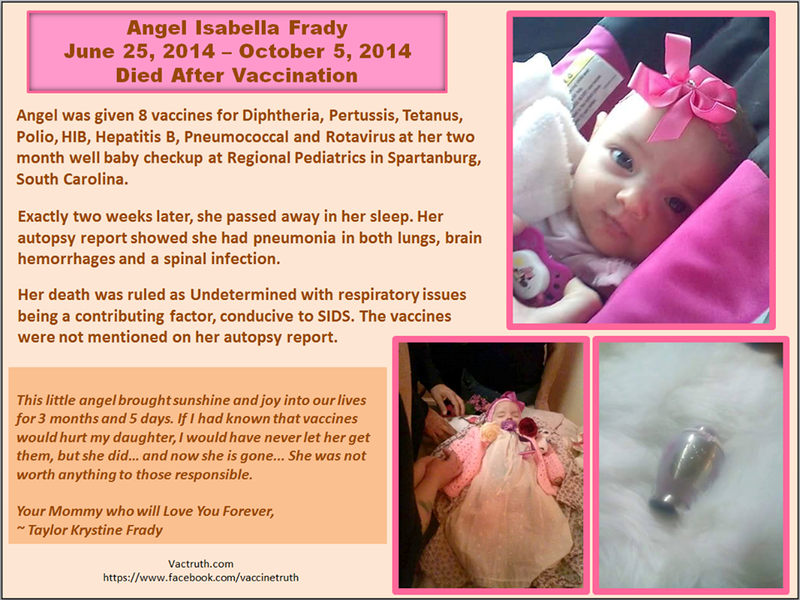 When this child was three months old she received the DTaP and Pneumococcal vaccines. 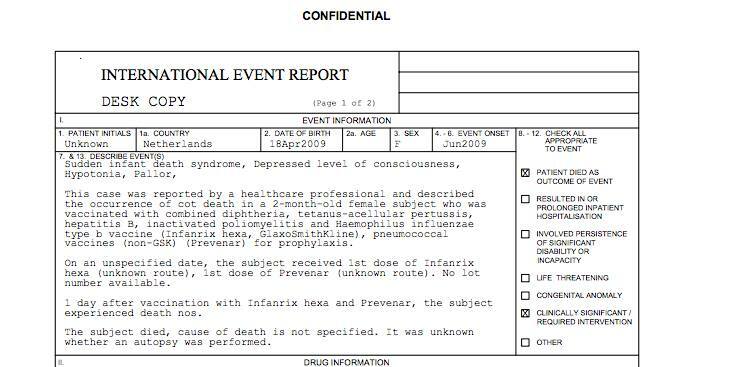 A few hours later her heart stopped. 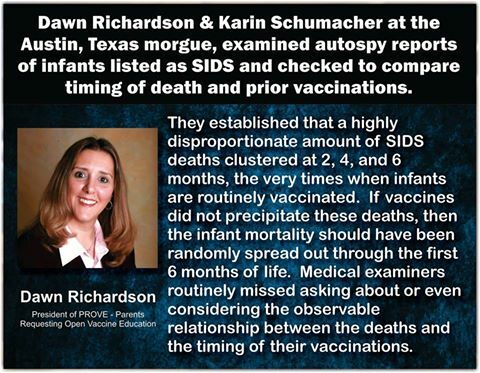 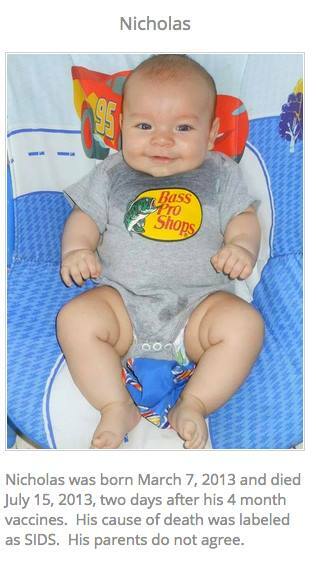 Had her mom, Nikie DesRoches, not checked on her and started CPR to revive her, the pediatrician said she would have been another SIDS baby (Sudden Infant Death Syndrome). 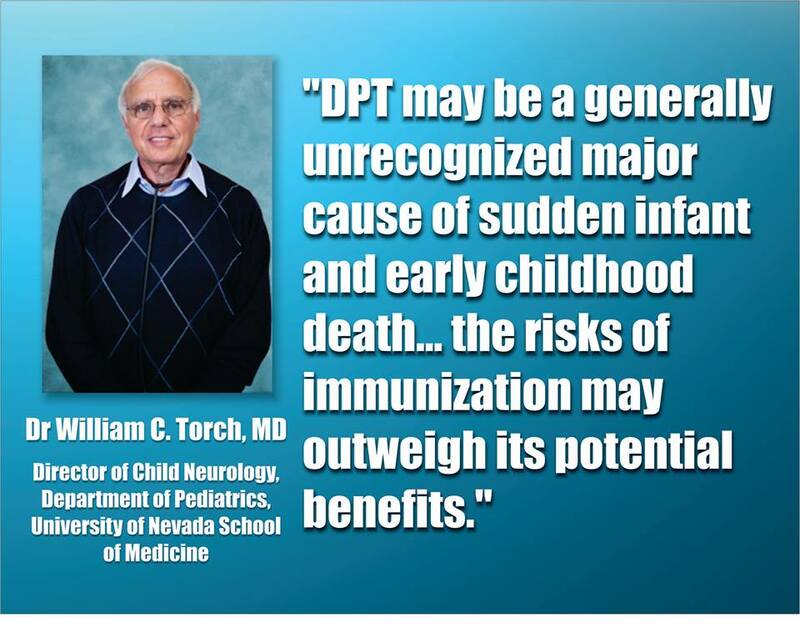 Pediatricians know that vaccines are dangerous, and YOU should too. 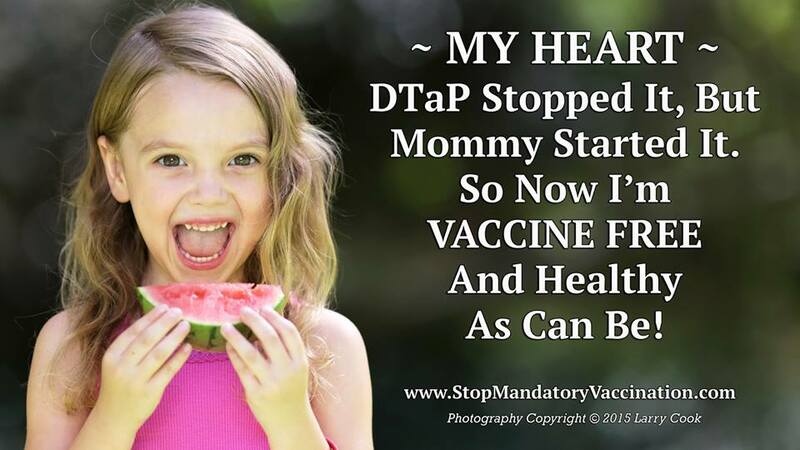 Start here: www.StopMandatoryVaccination.com.